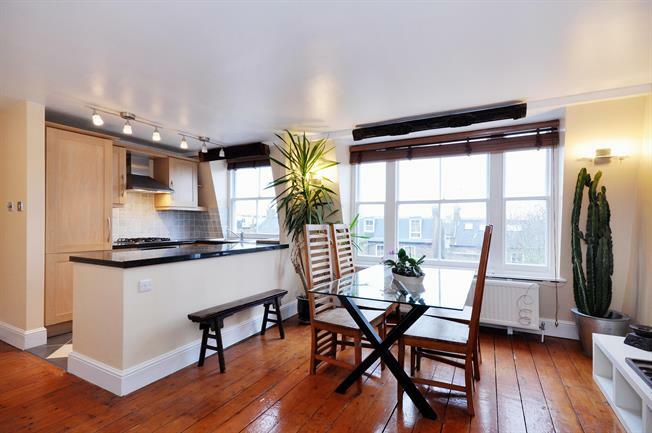 This extremely bright, two bedroom apartment sits on the second floor of a beautiful period conversion on Bassett Road, a popular tree-lined residential street just off Ladbroke Grove. The apartment faces South allowing an abundance of natural light to flow throughout and boasts plenty of character with wood floors, neutral decor and an eclectic mix of furniture creating a homely, Bohemian feel. The property offers excellent storage throughout and comprises modern open plan kitchen/ reception, two double bedrooms with fitted wardrobes, modern bathroom (with jacuzzi) and large south facing roof terrace - perfect for alfresco dining. Bassett Road is perfectly located just a few minutes walk from Ladbroke Grove underground station (Circle/ Hammersmith & City lines - towards Liverpool Street, King's Cross and Paddington) and a short stroll to Portobello Road, Elgin Crescent and Westbourne Grove with their vibrant boutiques, cafes and restaurants.